Asymmetrical lines. Neon colors. Checkered patterns. So long basic sweatpants and T-shirts. With millions of dollars in publicity and retail sales involved, today’s sports uniforms are making headlines for striking design, eye-popping details, and meaningful messages. Tennis was once played only by the rich. For years, players wore only “tennis whites.” Wearing all white showed that you had the money to have your clothes washed often. Plus, sweat spots on colored clothing—gasp!—were thought improper. 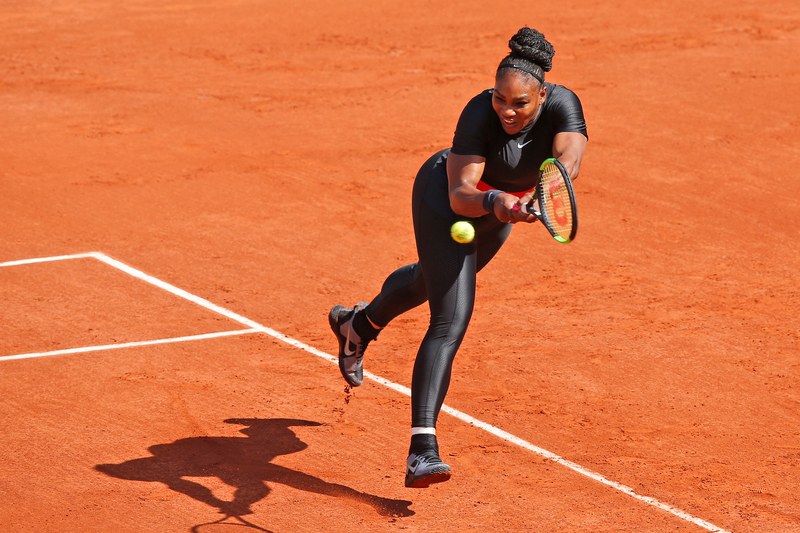 Today, most tennis players sport flamboyant combos from novelty bandanas to vibrant shoes. The Bible discourages paying too much attention to clothing and other externals. God’s word encourages us that “the hidden person of the heart” matters most. (1 Peter 3:3-4) But it’s helpful to remember that clothing can express personality and loyalties—outlandish, energetic, or nostalgic. This year, Australia’s World Cup football jerseys were gold with swirling lines on the shoulders and sleeves of home uniforms. The algae-green lines celebrate the country’s border on oceans and seas, says Nike senior design director Pete Hoppins. Australia’s away kit was green with a diagonal slash of yellow and lighter green touches on the front, a tribute to Australia’s 2006 jerseys. 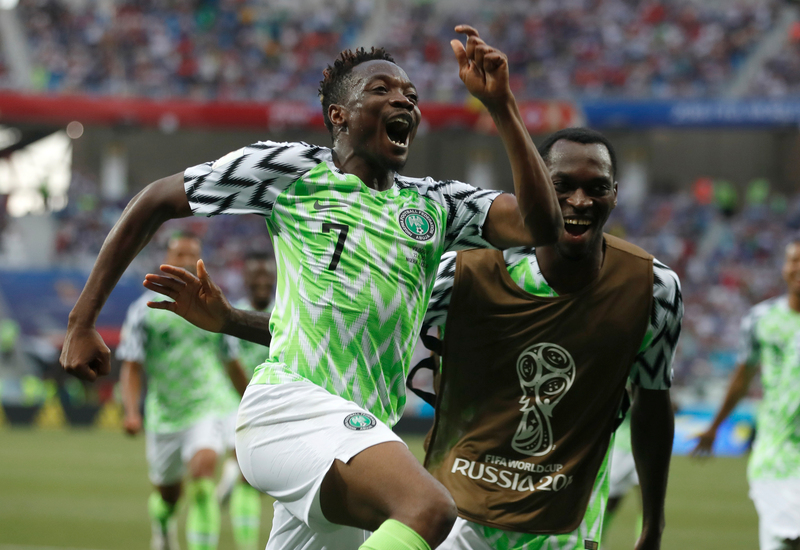 Nigeria’s World Cup shirts popped bright green, white, and black with a buzzy chevron pattern. The jerseys have been a hit. Hoppins says, “We’ve never seen anything like this before in terms of excitement,” referring to the crowds buying Nigerian jerseys. Other sports have had their moments in the fashion spotlight. Many hockey, baseball, and American football uniforms have been noteworthy. Remember the Anaheim Ducks’ eerie masked cartoon water bird? 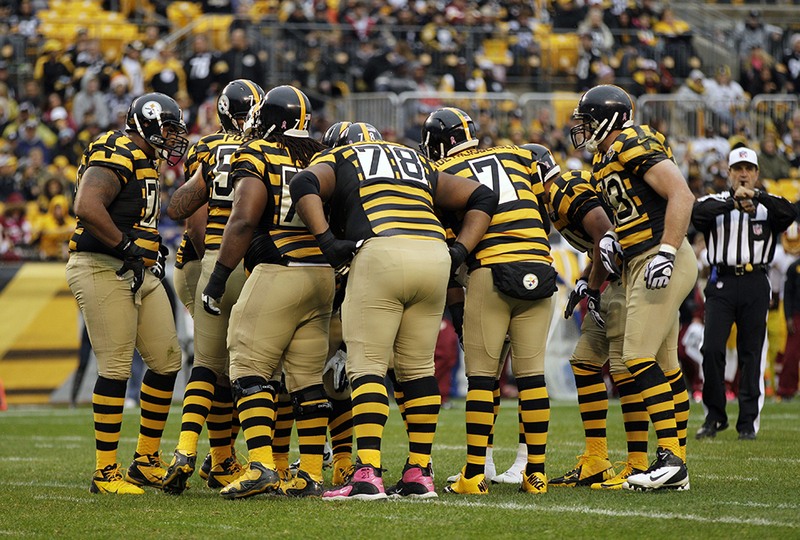 What about the Pittsburgh Steelers’ 2012 black-and-gold striped “bumblebee” outfits? What does Bennett like? Japan’s jersey. It’s a rich blue and recalls the ancient Japanese technique of sashiko, hand-stitching in rows down the front. Argentina's blacks are the best, in my opinion. I totally agree with you Nadia. SOCCER IS THE BEST. P.S. Second is the first loser. i like the nigerian uniforms better than any other uniform becuse the design is cool and i like the colors. 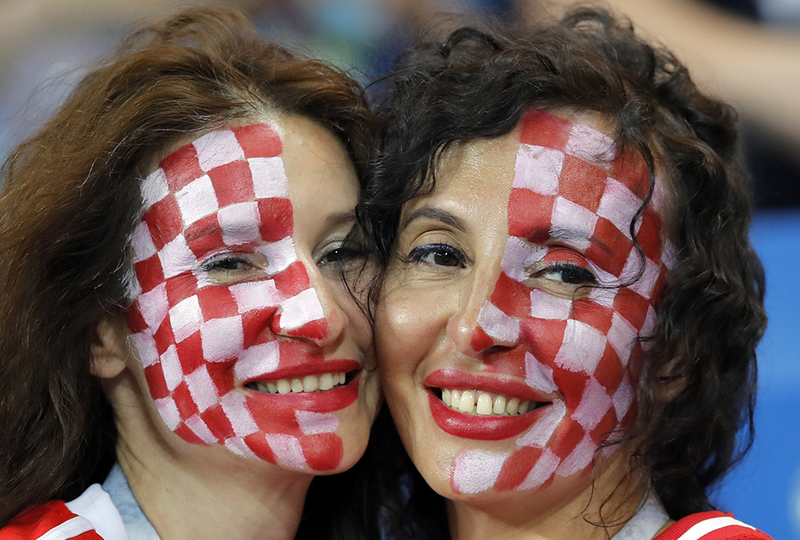 i also thought it was funny how the dude said Croatia's uniform looked like a tablecloth. Go Green and Gold. Those are the best uniforms ever, and they haven't been changed for a long time nad they won't be changing it for a while either because of the Packers' great history. i personally like the SKOL vikings jers-SKOL-eys the m-SKOL-ost esp-SKOL-essialy their c-SKOL-olor rush j-SKOL-erseys and t-SKOL-heir chants-SKOLSKOLSKOLSKOLSKOLSKOLSKOLSKOLSKOLSKOLSKOLSKOLSKOLSKOLSKOLSKOLSKOLSKOLSKOLSKOLSKOLSKOLSKOLSKOLSKOLSKOLSKOLSKOLSKOLSKOLSKOLSKOL-vikes. The Packers are owned by their fans and have the best fans around. The Vikings fans are just jealous. I like Argentina's uniforms. my basketball team is green and black. CANADA ALL THE WAY, XD!!! (8 things i Know about you #1 your reading this #2 you cant say the letter "p" having your lips touching #3 you just tried it #5 you didn't notice we skipped number"4"
#6 you just tried it #7 you have a letter in your name #8 you just thought in your mind thet "of course i have a letter in my name) ANY WAY I LOVE SOCCER!!!!!!!!!! error number six meant " you just looked for number 4"
I don't know which one i liked best but they were all super colorful, if i were the other team i would get destracted. I agree with Noah, green and gold rule! Other teams change there uniforms, but the Packers will never because it's so good! (And because of the history, blah, blah, blah!) The other NFL teams are terrible especially THE ONES THAT HAVE FANS THAT KEEP CHANTING SKOL OVER AND OVER! (Hem hem, BEN! And others...) But over all, uniforms are a big part of sports and it would be soooooooooo boring if everyone just wore neutral colored plain uniforms. GO PACKERS! I'm a Patriots fan. How can you beat red, white, and blue? I do like the Packers though. soccer is by far the worst sport everrrrrrrrrrrrr!!!!!!!!!!!!!!!! How could say something like that?!?!? What are you a football fan? Soccer you have to rely on your brain as well as your skill. But Football you just go where your told and hope you get the ball. Football is so slow also. Soccer is a fast moving game with lots of excitement. That was rather impolite Sophia. Not everyone has to like soccer and you can like both sports. I like soccer and I am a football fan. Actually, football takes a lot of brains, quarterbacks have to throw the ball to the right guy at the right time while having people trying to tackle them. Also they have to remember plays. Guys on the defense have to try to figure out what the other team is going to do before they do it! That takes brains. Also, while soccer is basically always going, football is constantly going really hard, then reseting, then going really hard again. Soccer is probably more fast paced at most points but football can really get going fast when they time is running out and your team is behind. Vikings are by far the best team...Purple and Gold? Makes for super cool uniforms....and tbh Green and Yellow grosses me out! SKOL!!! The New England Patriots, and all other Massachusetts teams, are the best!!! But if you want to talk soccer, the Boston Revolution is really good. just saying, Cuba is the baseball g.o.a.t., don't @ me! More designs would be great! Bennet is part of the Men in Blazers, an awesome pair of podcasters. I also wish there was more colors and patterns in pro soccer, as the majority of teams have all-white and all-single colored kits. Also, vibrant patterns such as Nigeria's jerseys make a team memorable even though they didn't perform all that well. 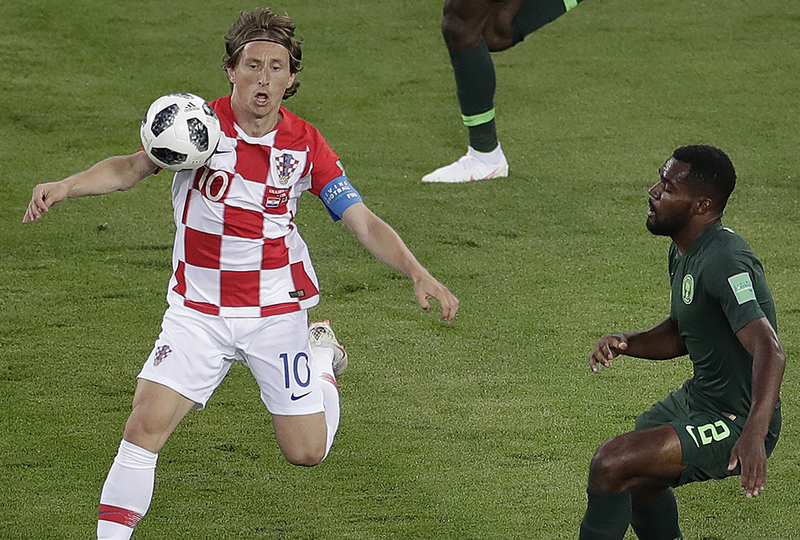 The Croatian pictured is Luka Modric, one of the best midfeilders in the world who played brilliantly during the WC, leading them to the finals. I'm not a huge sports fan (no offense, everyone!) but I still thought this article was cool. my brother massimo wrote that.